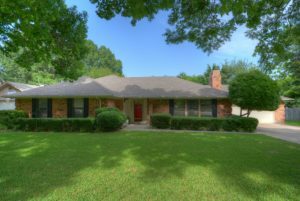 – This home is located on a beautiful wooded circle drive in Laguna Vista Estates, near Lake Arlington, and in popular Martin HS district. There is plenty of space for relaxing and entertaining family and friends with almost a half acre lot, in-ground diving pool and huge gameroom overlooking backyard. Extras include two storage buildings in back and a breakfast bar in kitchen. Updates include laminate wood flooring & HVAC. New roof to be installed with buyer’s choice of color.